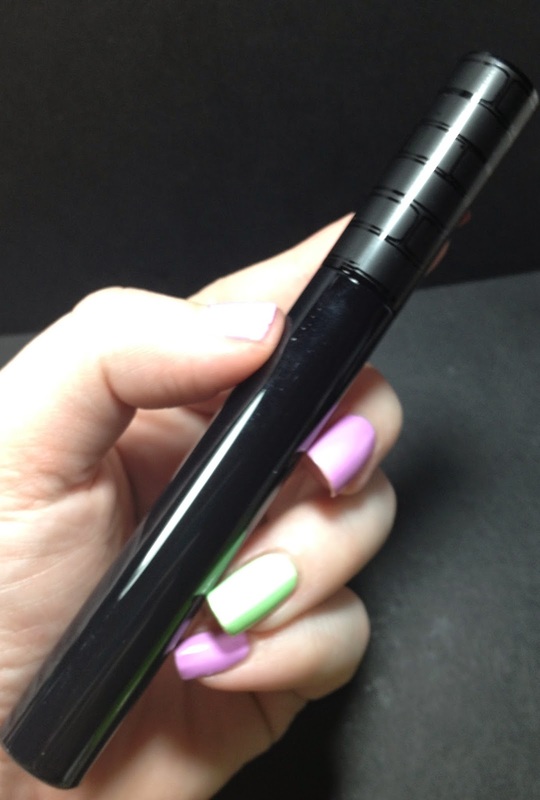 I have a beauty post for you today, brought to you by Brand Backer! I love makeup and all things beauty so when I had the opportunity to get this early and review it, I jumped at the chance. Let's just jump right on in!!! This is what the package looks like when you get it. It has a plastic wrap on the front with an image of the band on it. Once you slide that off, you are left with a case with a brick motif printed on it. 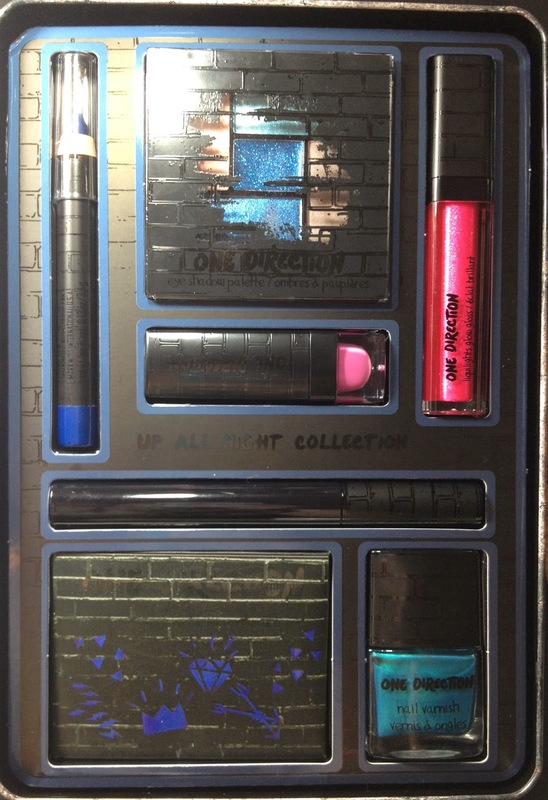 Once you open it, you will see all of the make up on one side of it. There is another piece of plastic that covers all the products but I have removed it for this picture. The opposite side of the case provides a couple looks for you to achieve with the products and highlights the colors included in the kit. First up is the nail polish, we wouldn't have it any other way right? 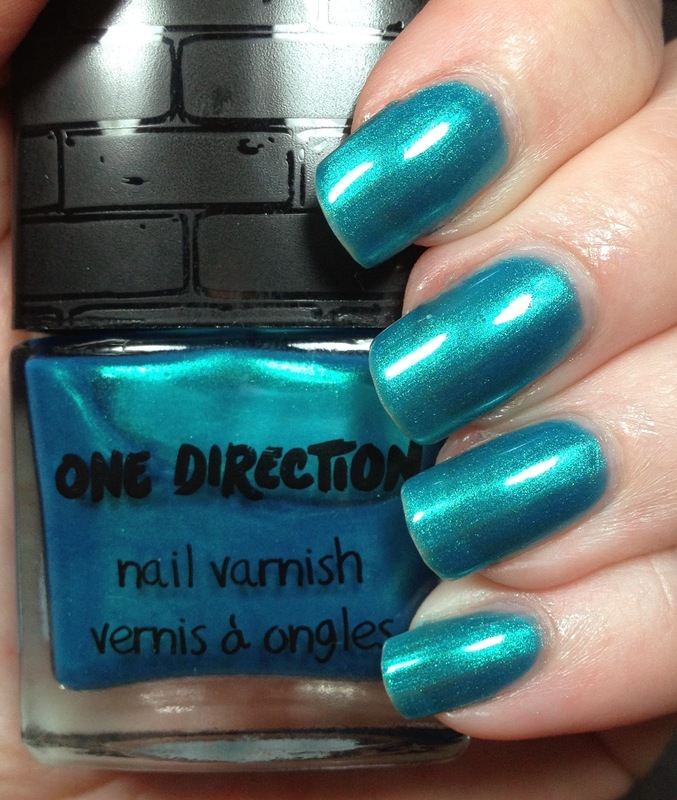 The polish is called Na Na Na and is a shimmery turquoise polish. I have three coats here because it is a very sheer formula. The formula itself was not bad and clean up was easy. Here is the lipgloss, Taken. 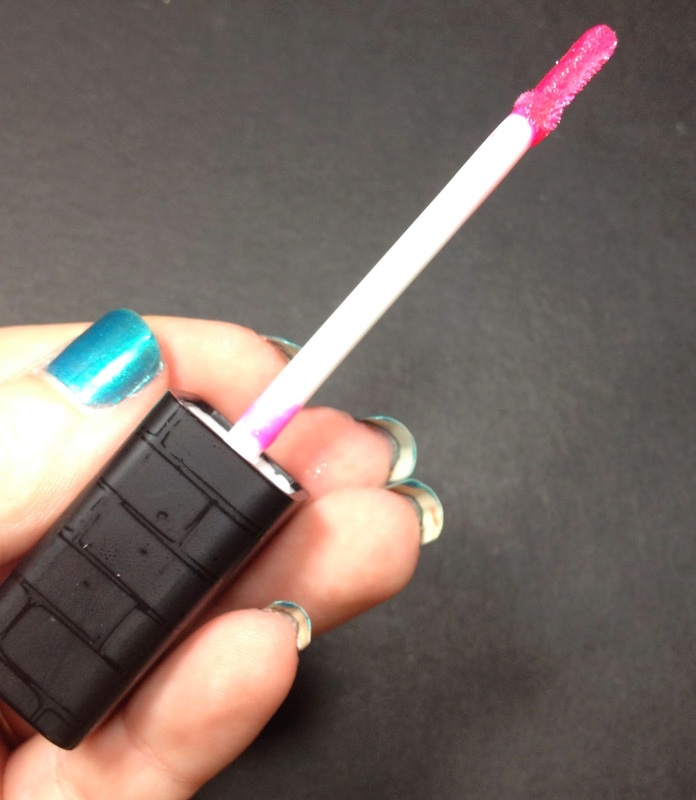 It is a BRIGHT pink gloss with visible sparkle in it. This also glows under UV light. I don't own a black light, so I apologize that I won't be able to show any of those shots. There is a sponge tip applicator and instead of a doe foot one, they have used a straight one. I was not able to detect a scent on my gloss. 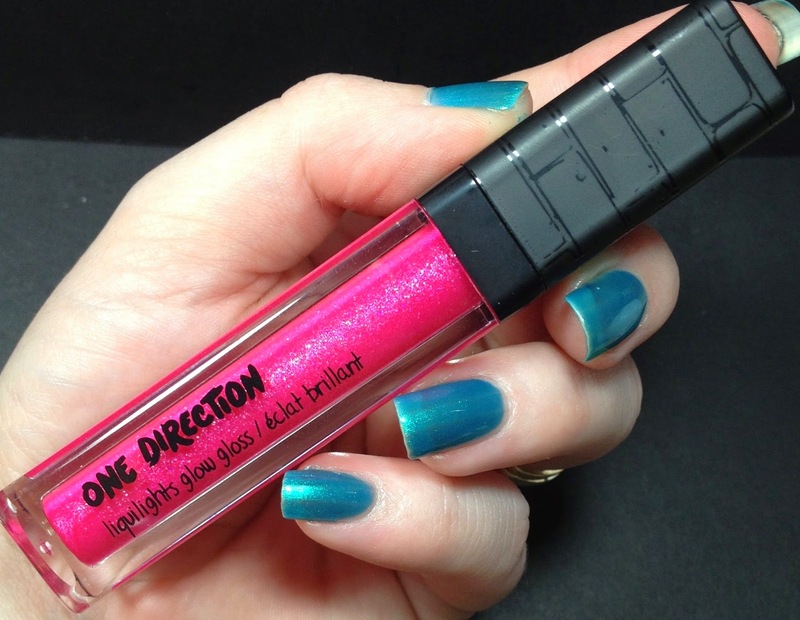 The gloss itself is highly pigmented. 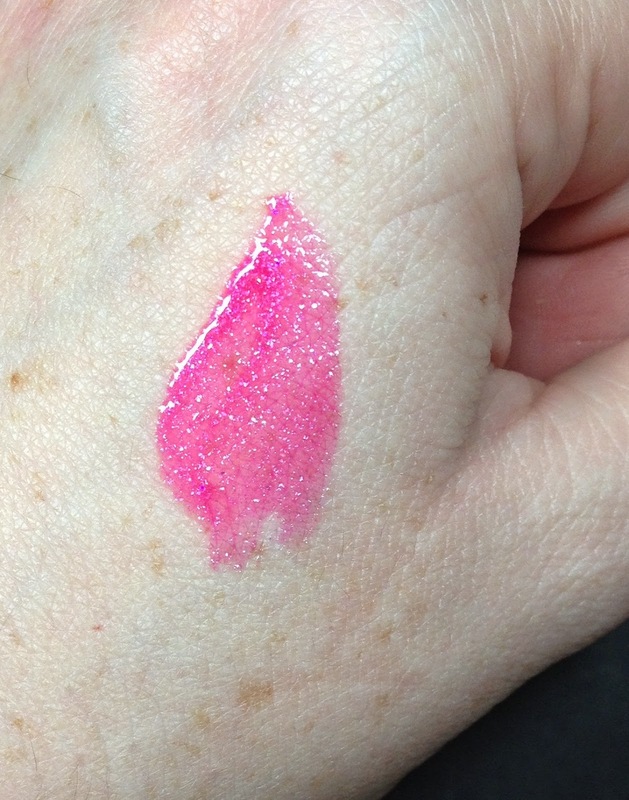 Here is a swatch of it, you should note that when trying to wipe this off it does leave glitter behind. It really is a pretty color. Not suited for my skin tone, but it will work well on a lot of people. 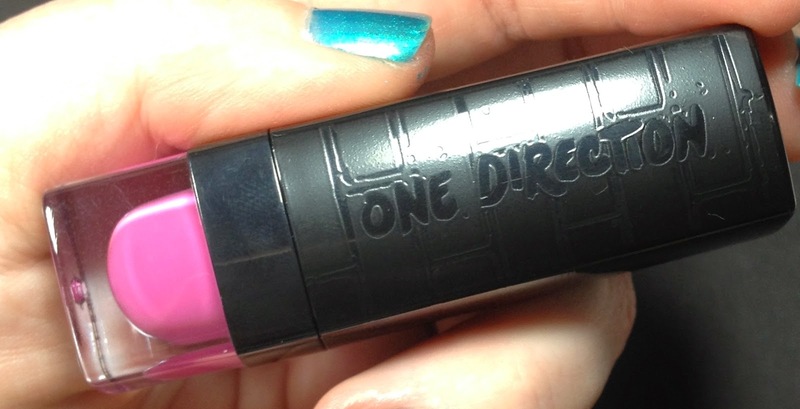 Here is the lipstick, called I Should Have Kissed You. 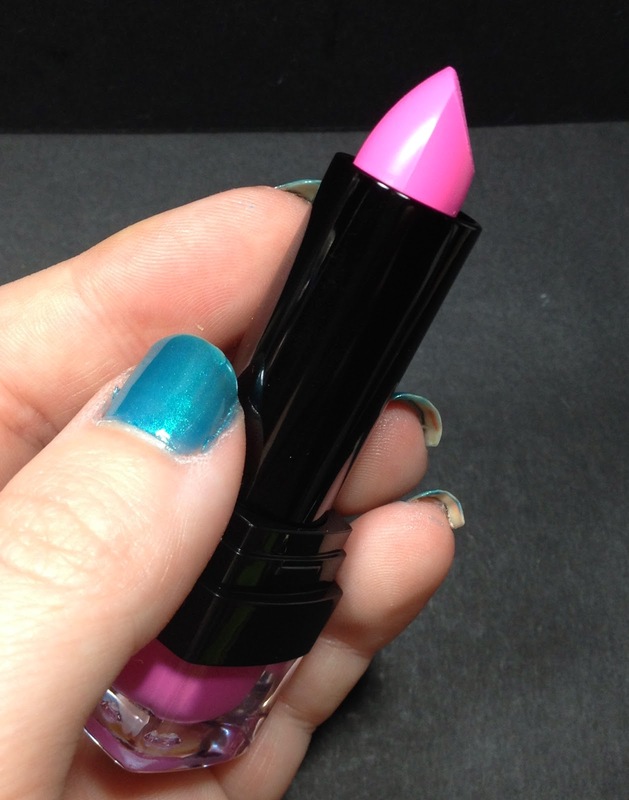 This is a BRIGHT bubblegum pink lipstick with a semi matte finish. It is not glossy at all and I think that this would be nice paired with the gloss. I did not notice a scent on this lipstick. 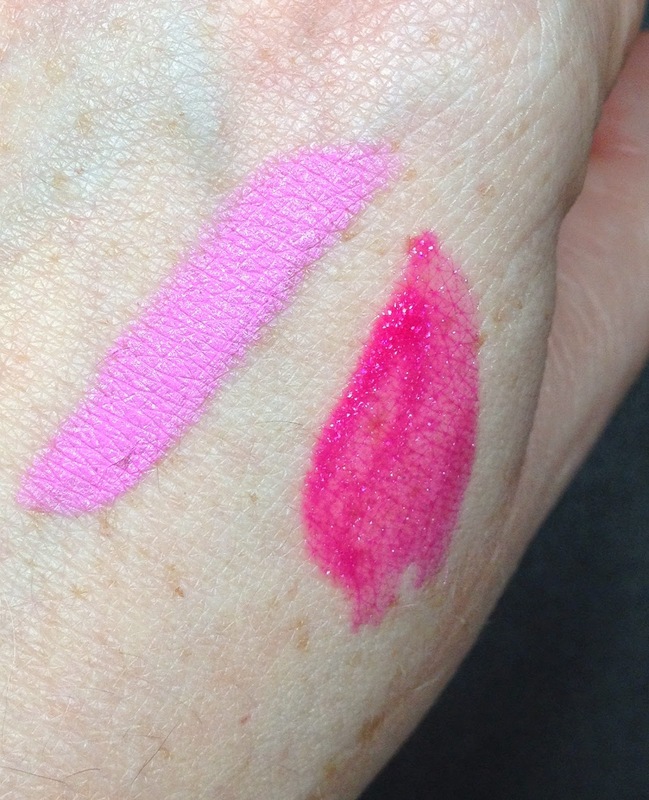 Here it is swatched next to the gloss. 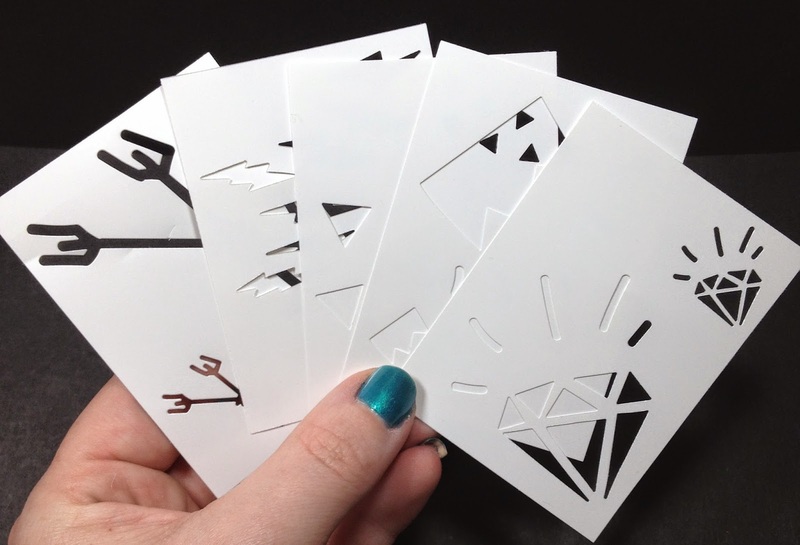 As an added bonus, they included a set of rather large stencils in the kit. They pair perfectly with the jumbo crayon (shown next). It would be easy to hold one of these down and fill it in with the crayon (or anything else you have really). The size of them would make it easy. There are five different sheets in the set. 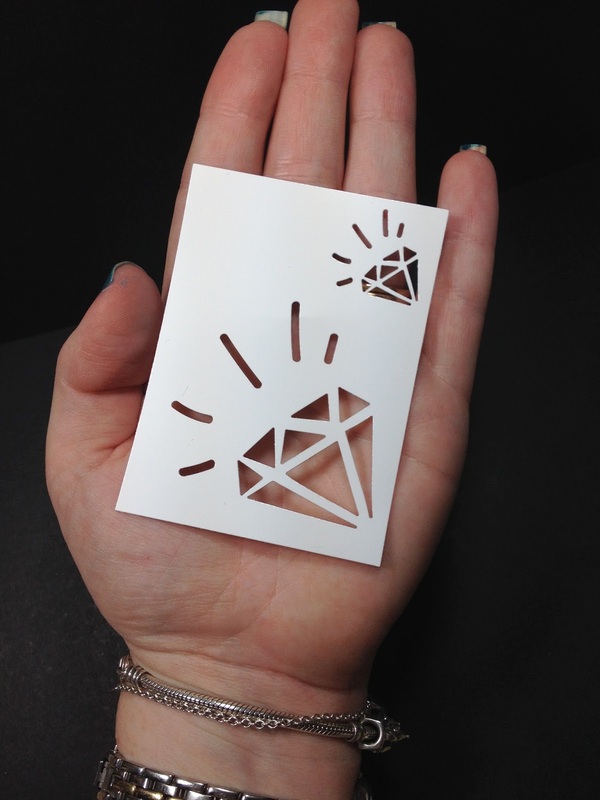 Here it is in my palm to show the size of it. 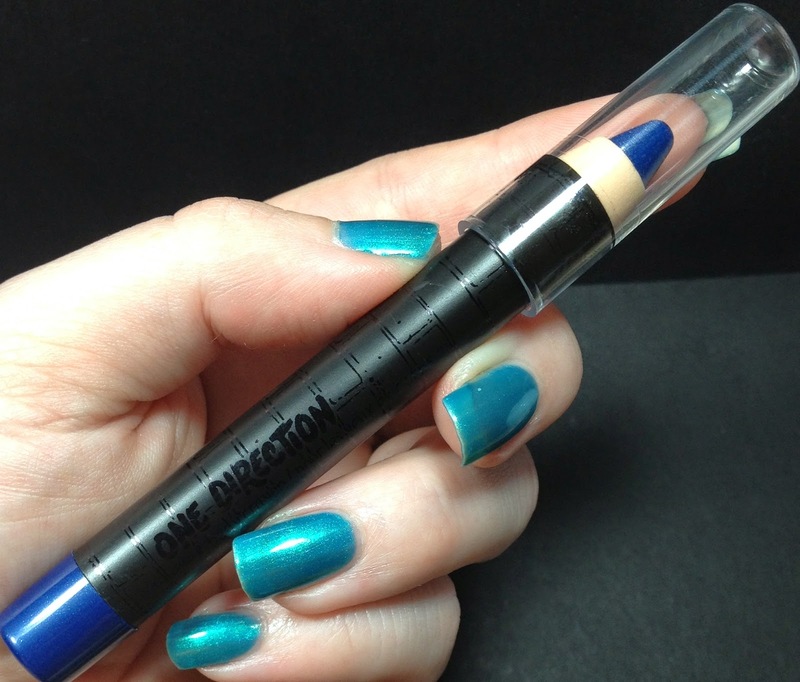 Here is the jumbo eye pencil I was mentioning. This is in a navy color and called Stand Up. It was nice and creamy, but boo on having to sharpen it when you use it up. I prefer twist up ones. You can see it's pretty bright on my skin. 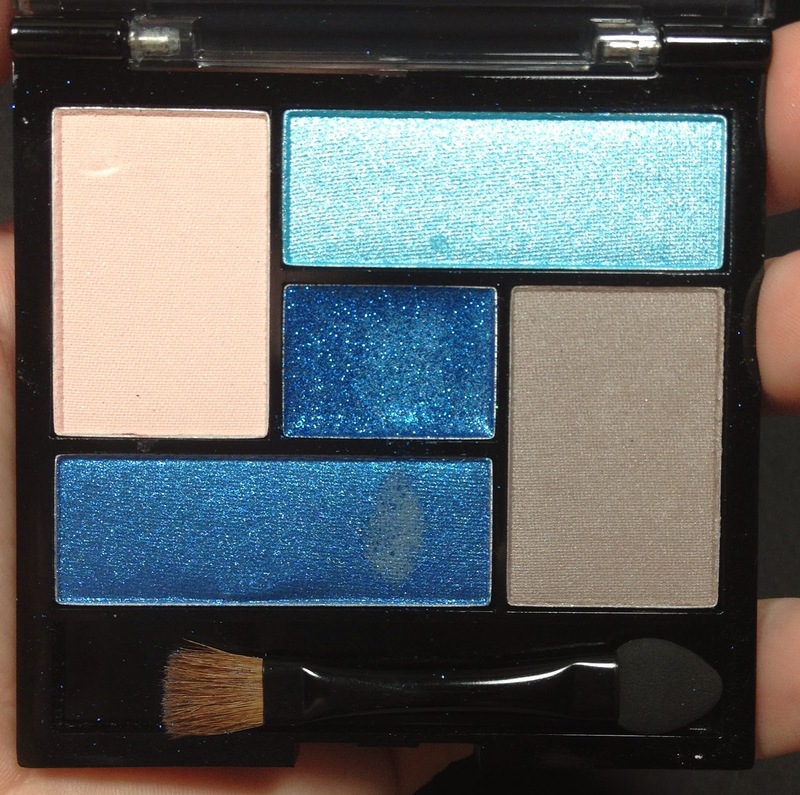 Here is the eye shadow palette. 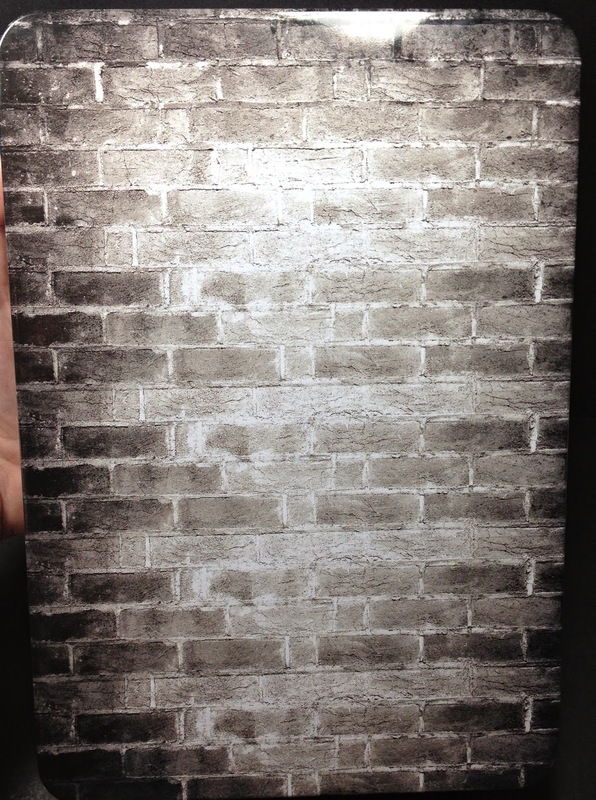 The outside is the same brick pattern as seen on the previous items. The packaging does feel inexpensive, so please take care with it. At first I was afraid of these colors but they are actually quite nice. Once open, you can see this houses two neutrals and three blue shades. 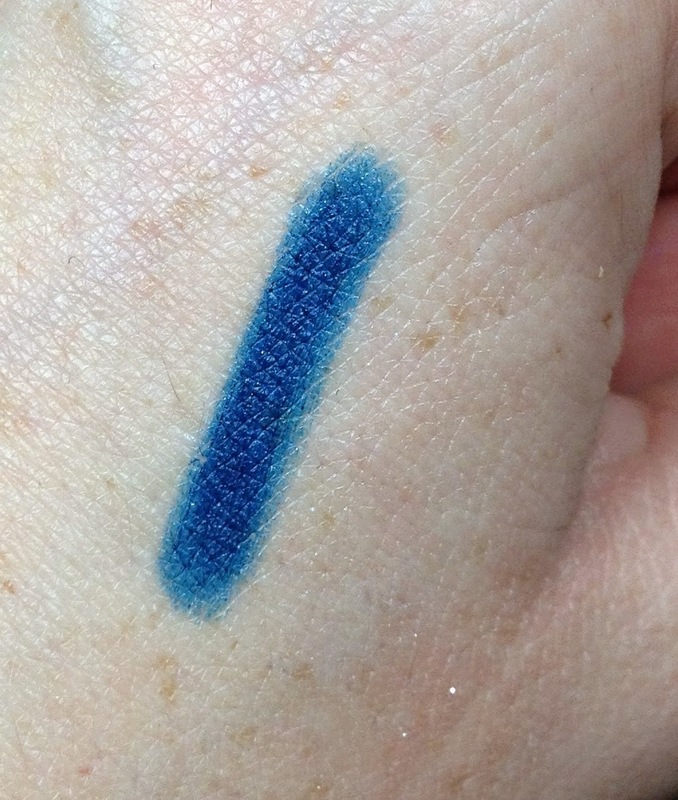 The middle deep blue is supposed to be a glitter creme shade. and the other four are traditional eyeshadows. 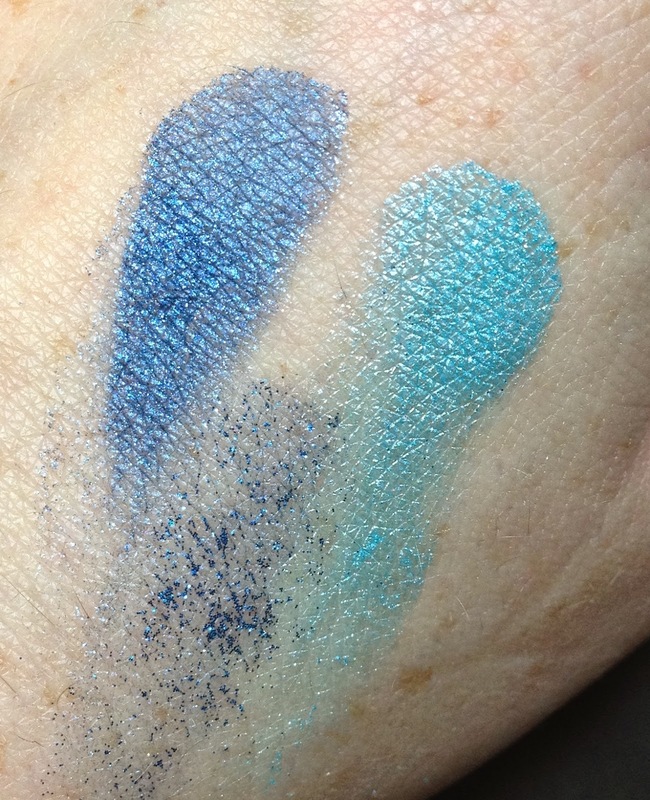 Here I have the dark blue (Another World) on the left, the turquoise (Save You Tonight) on the right and the blue glitter (Up All Night). 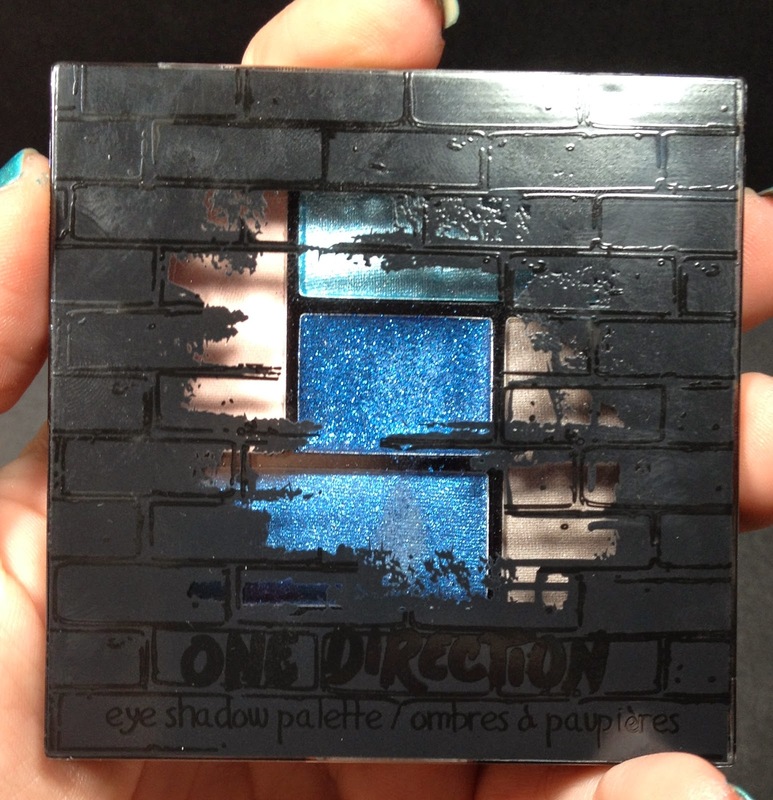 I thought Another World was going to be a deep shiny eyeshadow, but it seems the shimmer was an overspray. 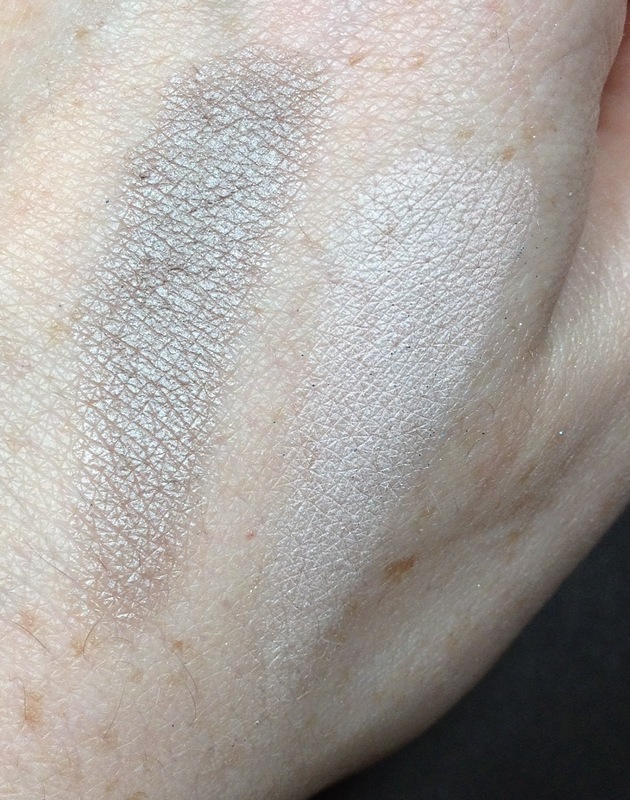 When swatched with my finger directly onto my skin they were all very pigmented and nice and creamy. But when I used a brush on them, there was some major fallout. Below those two I have a swatch of the glitter creme shade. You can see how dark it is compared to the other two. Here are the neutrals. Left is Gotta Be You which is a nice taupe and on the right is More Than This which is a nice pale pink. 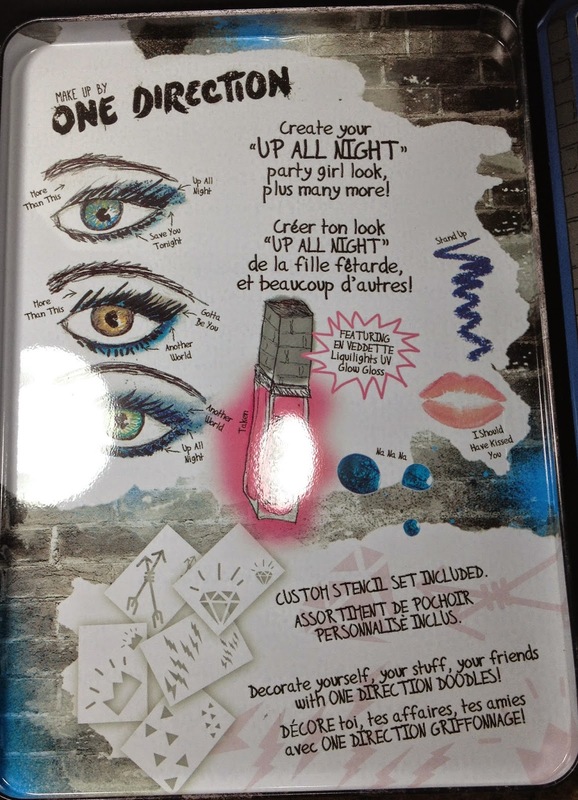 The last item in the collection is a mascara, the the color Little Black Dress. 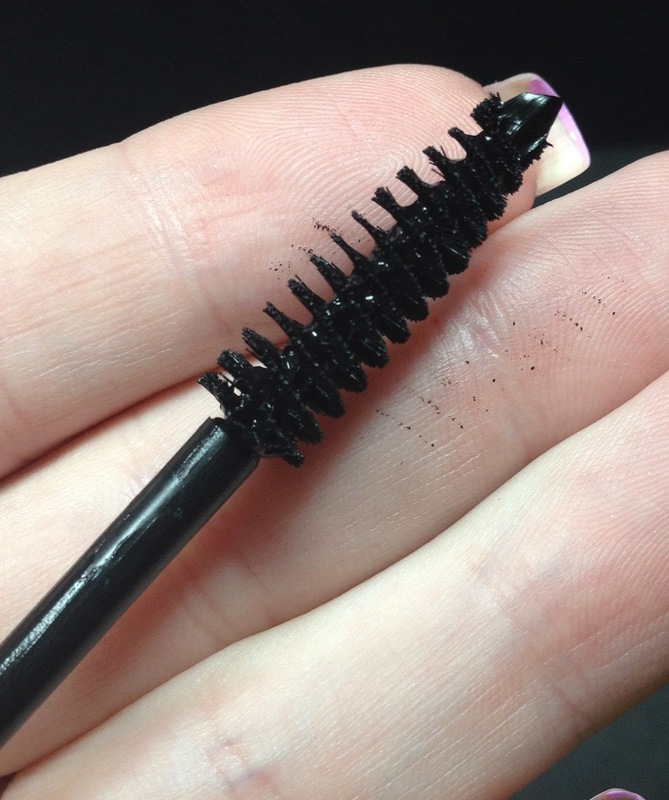 This is a standard mascara with a regular bristle brush. It's nothing outstanding and it doesn't make any major claims. It is nice, but I prefer heartier mascaras. To me this is a great collection items perfectly suited to their target market. They hit the nail right on the head. You get everything you need to create multiple looks and all in one nice case. 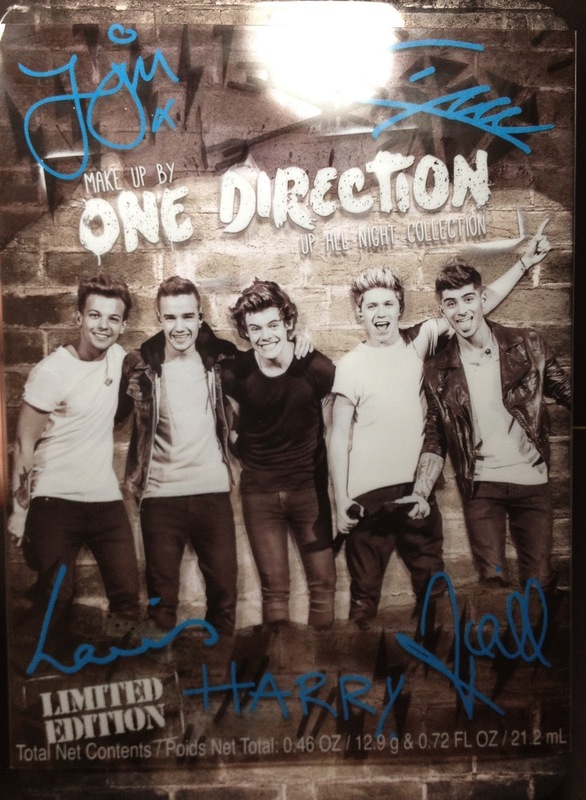 This is a must have for any One Direction fans out there. 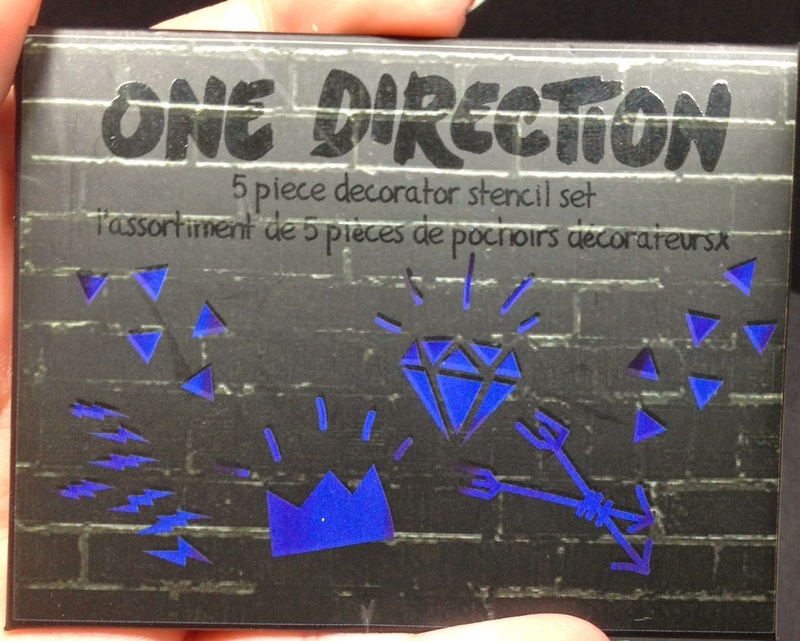 I remember the days of wanting everything branded with my favorite group on it, so to me this is genius. Check your local retailer (listed above) to get your hands on a set today!!! 3rd Annual Depression Awareness Post and Fundraiser - Get Ready for TMI! copyright peer pressure polish. site design by utterly chaotic. all rights reserved. images and content on this blog cannot be used within written permission.